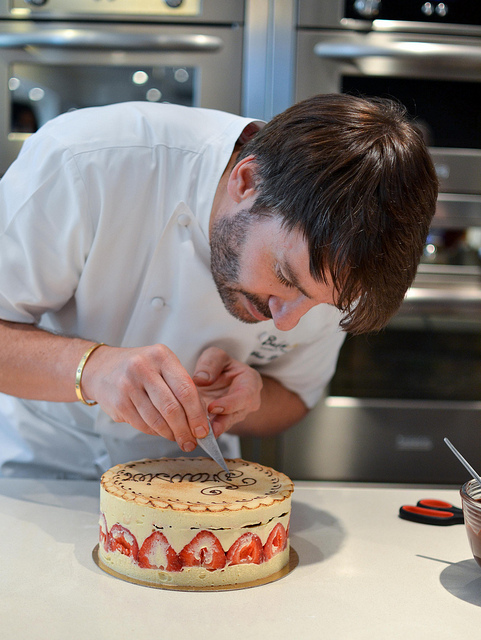 Eric Lanlard is a Master Pâtissier and twice winner of the prestigious ‘Continental Pâtissier of the Year’ at the British Baking Awards, he has changed the face of British Patisserie both in his retail ventures and on TV. But it wasn’t always that glamourous. He was once a chef in the French Navy so I guess there is hope for us all. I was lucky enough to meet him recently. He’s down to earth. Funny. Charming and of course incredibly dashing. He was also so lovely to my daughters so I gave him extra brownie points for that. They,however, were not overly impressed by the star of Baking Mad but rather taken with the glittery cupcakes he kindly treated them to. What’s the most challenging career decision you’ve made? 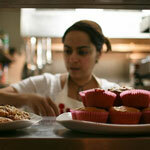 What advice would you give those looking to go into the patisserie profession? Cake Boy is a wonderful cake shop/lounge. What was the motivation behind it? 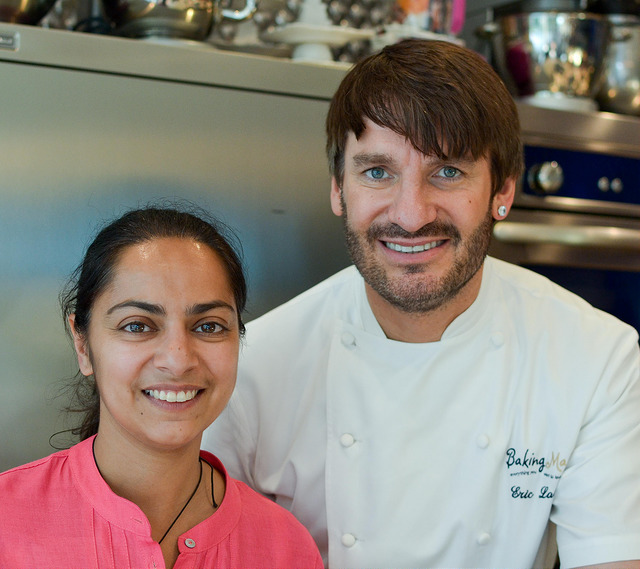 “Again from a very early age I knew that I wanted to own my own patisserie shop. I already had the design in my head. We needed to find a new kitchen because our lease was coming up – at the time we were a wholesale business supplying exclusively into Fortnum & Mason. We were going to give up the wholesale but continue on with the celebration cake business and needed to find a smaller kitchen. This space came up – it was a blank canvas and suddenly I was able to put my dreams into action. 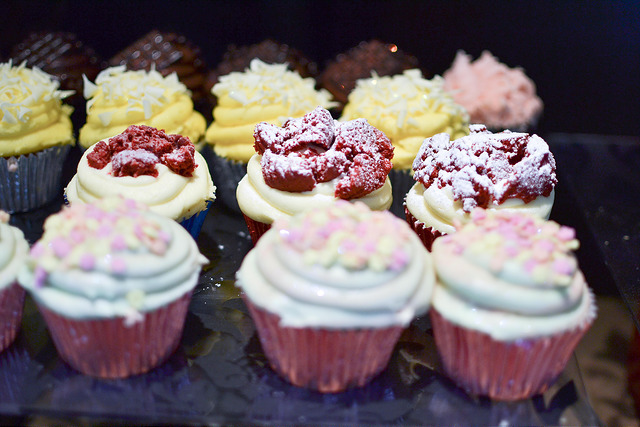 You mentioned you don’t eat a lot of cake, what’s the one cake or dessert that you simply cannot say no to? Which three people past or present would be at your afternoon tea party and why? This really was one of the highlights of my year and so a big thank you to Eric for taking the time to answer my questions, to his Publicist, PR companies and Neilsen Massey for arranging a lovely afternoon.